Unlike the Hebrews who were enslaved for centuries by their Egyptian patrons and forced to assert their independence through the help of their faith in Almighty, Filipinos were merely subjugated in their own turf by people with superior firepower and technology. 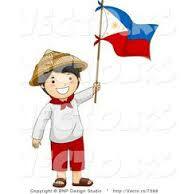 It took a few years however before Filipinos can hold a candle against their oppressors. But what happened next is unfortunate. When Filipinos assumed power over their own, their leaders merely aped the exploitative characters of their hated invaders. As a consequence, discipline broke down. Enthusiasm on new found freedom dissipated. Rebellion became the order of the day. There was indifference in almost all corner of the country. There is no semblance of obedience in express authority applied. In other words, there is marked disobedience on just anything at all. There is widespread triviality in almost all corners of the country. There is poverty amidst abundant natural resources. There is hardship notwithstanding an environment which is akin to a tropical paradise. Exploitation and abuse are qualities prevailing in every interaction, it is Filipinos vs his kind. In a small country where whisper is heard, where pleas are virtually audible even from a distance, there is no compassion and cooperation noted. There is doubt, there is suspicion, there is always mistrust. Filipinos have learned to live in this standard (or the lack of it) in his own backyard. It is only through his dreams that he becomes capable of greatness. Largely on this score, it is only when he goes out of his country when he can show his mettle to the world. “(A Malaysian academic swears) some of the best medical doctors in Singapore are Filipino. (I think some of the best bankers, too.) A Thai media executive investing in digital believes, or rather simply assumes, that his regional website should be developed by “creative” Filipinos. A famous New York City-based newspaper designer describes a Filipino colleague as “the best art director in the world.” I know a Filipino manager who is the consultant of choice of one large American enterprise doing business in different parts of Africa. Many of us can offer our own examples of Filipinos doing excellent work abroad. Filipinos are better when challenged but of course he is best in a good environment. Expose them in a gaudy area, they become worst. They are capable of behavioral magnitude given an extreme stimulation. After all, their blood is a mixture of black and white, hence they are colored brown. Their culture is an amalgam of East and West. Their philosophy is a combination of Oriental and Western thoughts. Physically, they are neither tall nor short. They simply do not belong to any category at all. They are a different species in the tree of humanity. Amidst the times and evolution, he may have been recognized or ignored but what is left is everything he dearly possesses and it is only that matters, and this is what makes him delighted, just his pride alone.